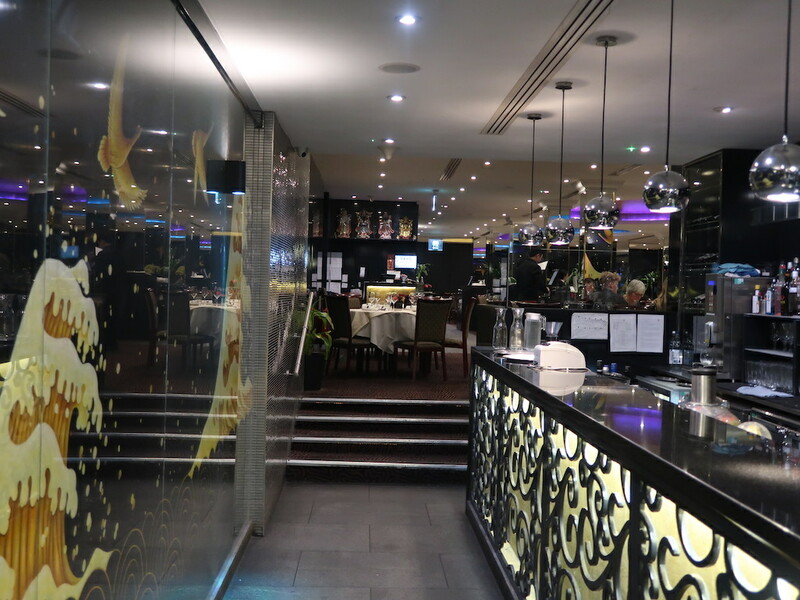 Chinese New Year and the Year of the Pig will soon to be upon us and so, when we were invited, it seemed like a great idea to review London’s top Chinese restaurant group. 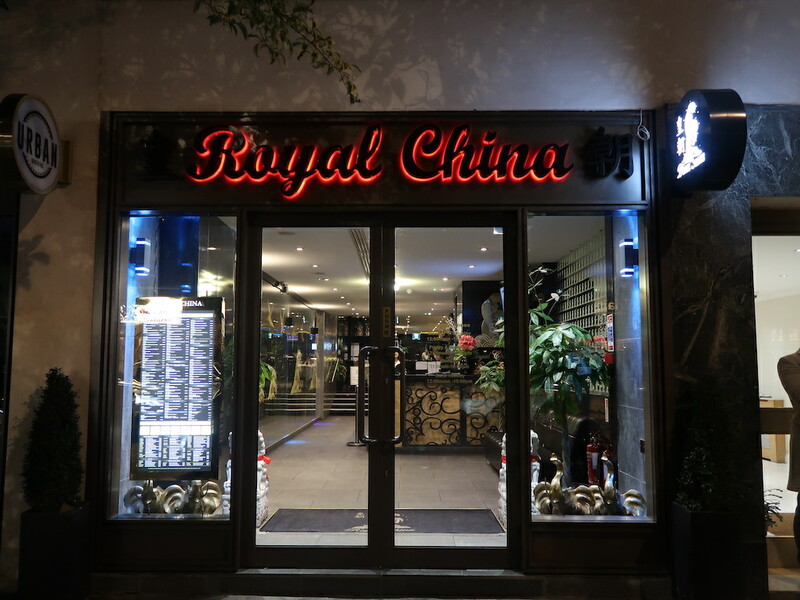 Royal China London Group has six of the most authentic and prestigious Hong Kong-style Chinese restaurants with Royal China in Baker Street, Bayswater, Fulham, Harrow and Canary Wharf and with the flagship Royal China Club also on Baker St. The Royal China London restaurants share an à la Carte menu, with each restaurant featuring signature dishes created by their individual Head Chefs. Set seven-course tasting menus are also available in all Royal China London restaurants. 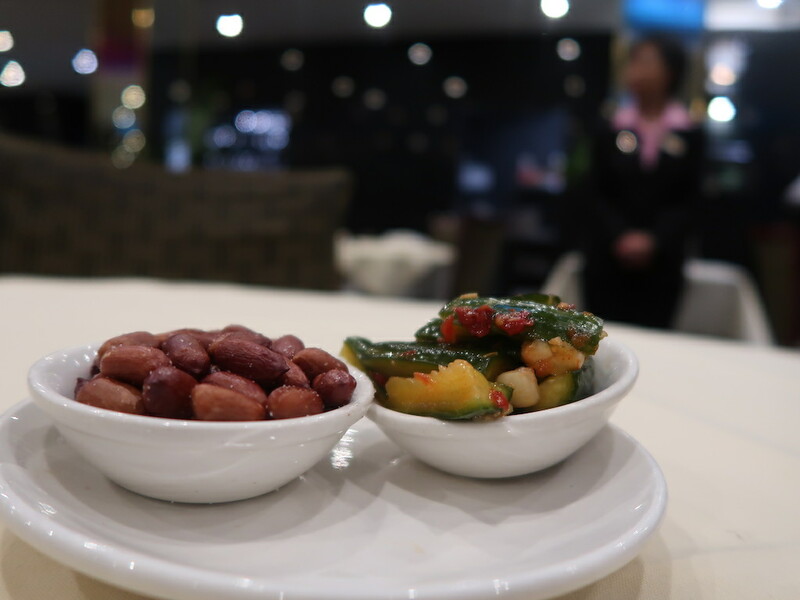 I was reviewing Royal China, Queensway, a fixture of the London restaurant scene since it opened in 1996. It was the first of the Group’s restaurants in London. 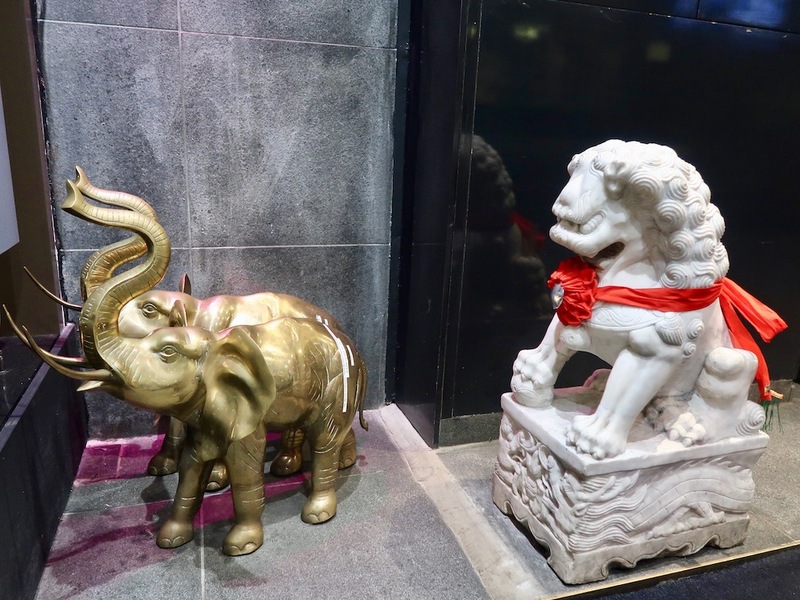 The interior of the Royal China Restaurant in Queensway is decked out in red, black and gold with traditional Chinese lacquered murals on the walls. The Queensway branch is particularly famous for its Dim Sum Sundays with queues snaking down the road to get a taste of the delicate little dumplings. But we had been invited to review the à la Carte menu and I was hungry! 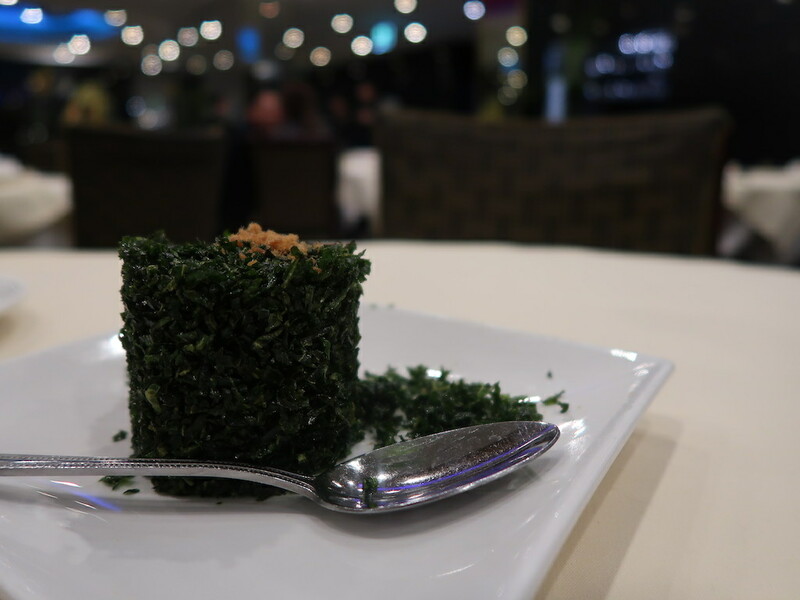 Shards of salty, vegetal crispy seaweed got our gastric juices flowing – easier to eat with a spoon than chopsticks! The vegetable spring rolls were the best I have ever had. Encased in the lightest of wrappers, the finely chopped vegetables were so delicately flavoured – almost like a mirepoix – existential happiness indeed. 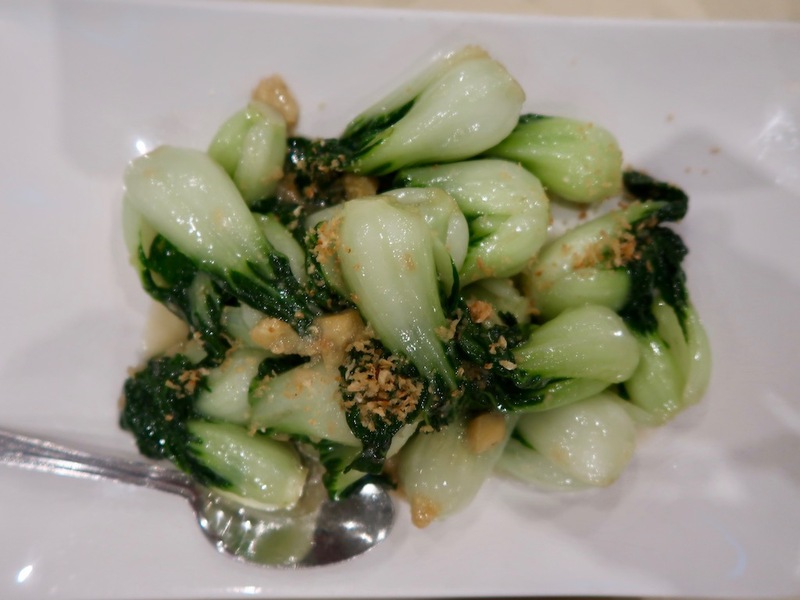 With our steamed rice we had three main dishes; glistening bulbs of Pak Choi had a pleasing crunch with the flavour enlivened by health-giving ginger and garlic. 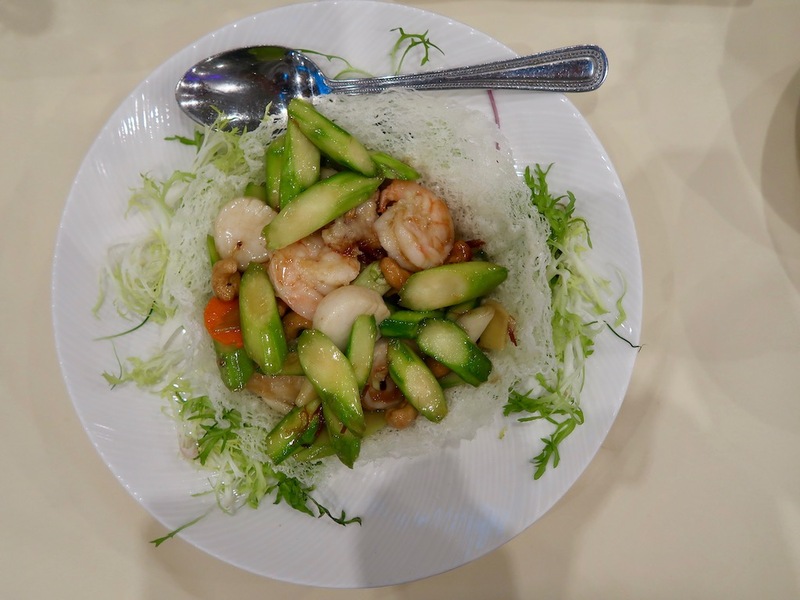 Sautéed seafood in a bird’s nest was a beautiful looking plate of food – a texturally exciting mix of fish, scallop, prawns, asparagus stems and cashew nuts. 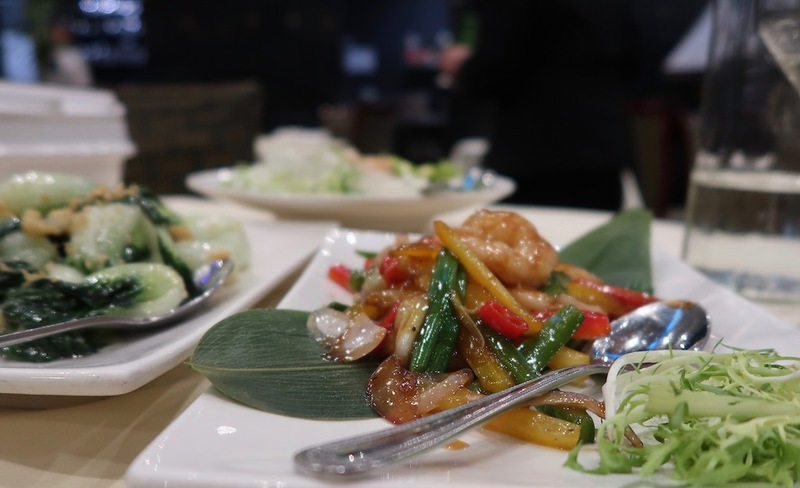 But my favourite was the sautéed prawns with honey and black bean – the juicy prawns had a slight hint of honeyed sweetness with the black bean being a subtle addition and not overwhelming the prawn. There’s always space for dessert in my opinion. 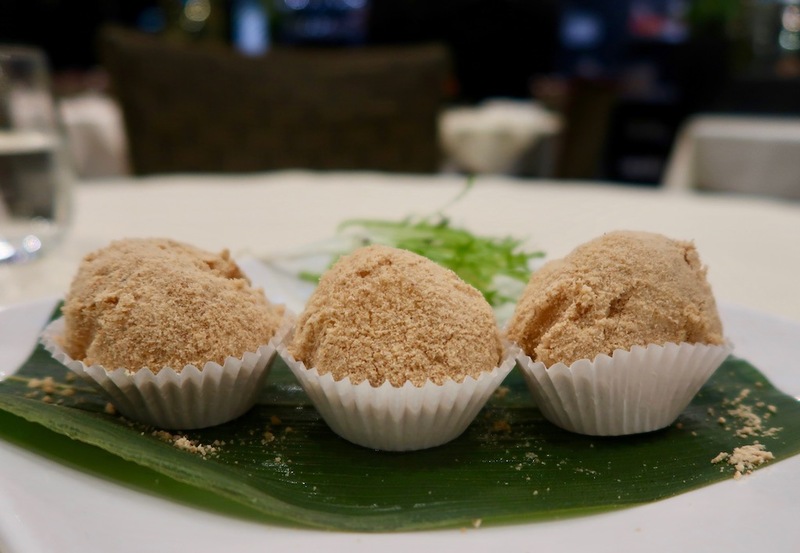 Black sesame in peanut crumbs was a delicious glutinous ball slathered in peanut crumbs and oozing a rich black sesame filling. 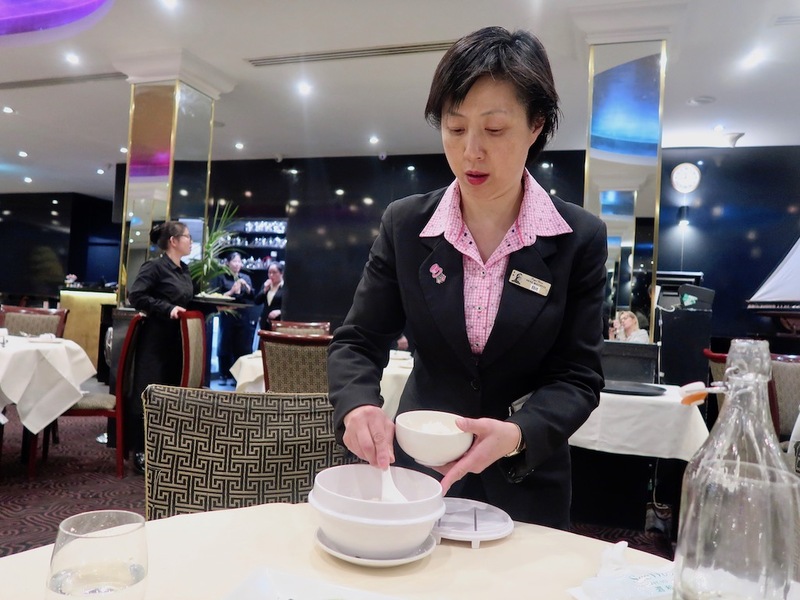 I hadn’t been to any of the Royal China London restaurants for years but it was great to see that that the standards were still very high, everything was really fresh and beautifully cooked. Service too was really friendly. 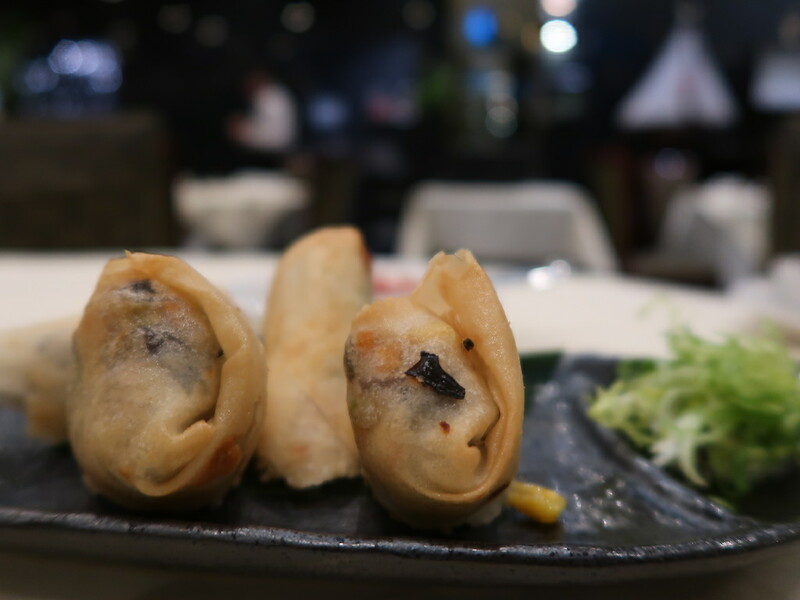 To celebrate Chinese New Year (Tuesday 5 February 2019) Royal China Restaurants across London will give each table a special red envelope with some containing special gifts.